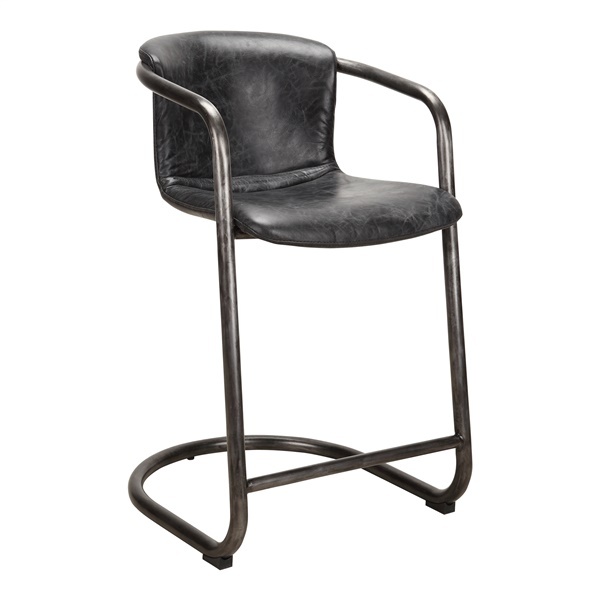 Rendering an antique black finish, the Freeman Counter Stool will easily complement and enhance any counter space. A rustic, top-grain leather seat and built-in footrest supplies maximum comfort and support, while the frame is durably built using solid iron construction to provide long-lasting strength and use throughout the years. Boasting a modern, industrial style, the Freeman also furnishes a curved base and arms to create increased visual interest and appeal.